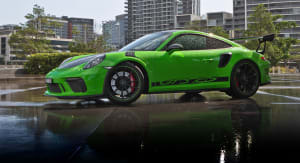 Ever since I had first read Angus McKenzie’s article in the January 1995 issue of Wheels magazine, I knew I had found the car for me although car in question cost $195’000 which was about $194950 more than my then 12 year old self had to spend on a set of wheels. 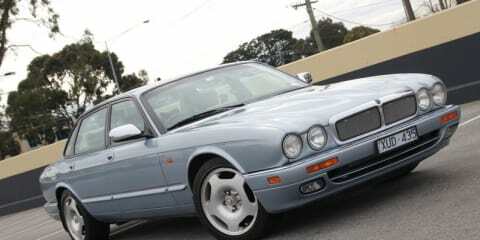 Fast forward to 2009 and I found myself in possession of a 1996 Jaguar XJR in ice blue metallic. 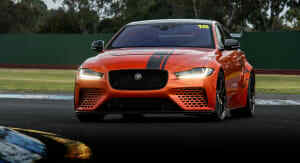 Boasting 240kw, 512nm and a claimed 0-100km/h sprint time of 7.0 seconds, it was impressive at the time for a sports car, let alone an 1800kg luxury four door saloon. The sheer motive force on tap at any point in the engine’s rev-range make for relaxed effortless driving. The 4 speed GM gearbox is well matched to the vast torque, and seldom wants for another gear with “Sport” mode giving crisp shifts and rapid kickdown. Fuel consumption was not a high priority for this class of car in the 1990’s, and the XJR is no exception. With an average of 18l/100kms around town, going down to a 12-13l/100kms on the highway this Brit loves a drink, with a preference for RON95 rather than warm beer. The 80 litre tank helps but realistically you’ll be filling up every 350kms or so. Jaguars have been known for their excellent roadholding and ride, but the XJR leans towards the former more than the latter. 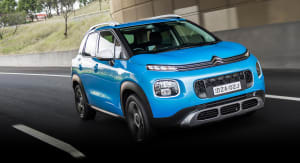 255/45 tyres provide ample grip through the limited slip differential and double-wishbone rear axle, but wheelspin is only a heavy right foot and a traction-control button away. The front end doesn’t quite seem up to the job and has a tendency to wander slightly on less than perfect surfaces. The ride is on the firm side for a luxury saloon, emphasising a smidge of body flex not evident in the XJ6. The brakes are frankly inadequate for a 1800kg car with the performance of the XJR. They are fine in 90% of situations with excellent feel and emergency performance. 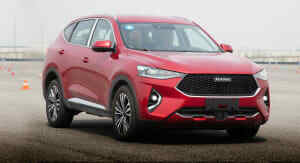 However during spirited driving the brakes quickly heat up and fade after a few hard applications, with the pedal going spongy and the acrid aroma of fried pads fill the cabin. 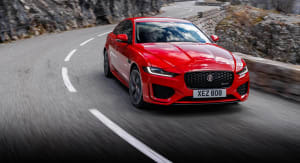 The highlight of any Jaguar for me is the cabin and my particular XJR was fitted with ‘Oatmeal’ leather with dark-stained maple on the doors, dashboard and console giving the interior a light traditional, sporting air. The electrically adjustable front seats feature prominent side bolsters and are among the few I’ve experienced that remain comfortable after hours behind the wheel while having excellent side lateral. The wide centre console results in a footwell that would be considered quite cramped against anything apart from the original Jag XJ. Moving to the back, the bench is well shaped for the outside passengers with the deeply sculpted bench being as secure and comfortable as most bucket seats. Unfortunately the lack of headroom and legroom mean that it’s not suited for tall adults. A contemporary BMW 5 series or Mercedes E-Class has more legroom, as does a Toyota Camry. The boot is relatively shallow but the loading lip is almost at bumper level, very practical for loading heavy items. While Jaguars have traditionally had a poor reputation for quality and reliability, the XJR has been an absolute pleasure to own over my 4 years of ownership. Apart from one breakdown due to a failed fuel pump, it’s always gotten me to my destination, if not always with all 326 horses. Once a supercharger belt snapped due to seized pulley and the XJR drive home in smooth dignified style just like a 3.2 litre XJ6. The supercharger actuator also failed with similar results. 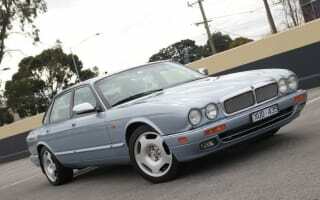 I’d be hard pressed to recommend ownership of the XJR, given the price of parts and servicing and fuel consumption. As a comfortable sporting saloon at a similar price second hand, the BMW 540i/740iL or Mercedes-Benz S430 would ride, handle and perform just as well or better than the XJR, with less drama, less fuel and more interior space. Even a 5.7 litre Holden Caprice would make more sense if you don’t mind the Commodore-derived interior. However, Jaguars are seldom a purely pragmatic choice and if I had the opportunity to purchase one again, I would do so in a heartbeat. It’s rare that a car comes along that I can enjoy driving in all situations from winding mountain roads to long interstate trips to morning work commutes. While the head says 5/10, the heart says 17/10.